How do you follow a mash-up medley celebrating 31 West End Musicals In Under 10 Minutes?? How about an updated medley celebrating 31 Musicals In Under 7?? 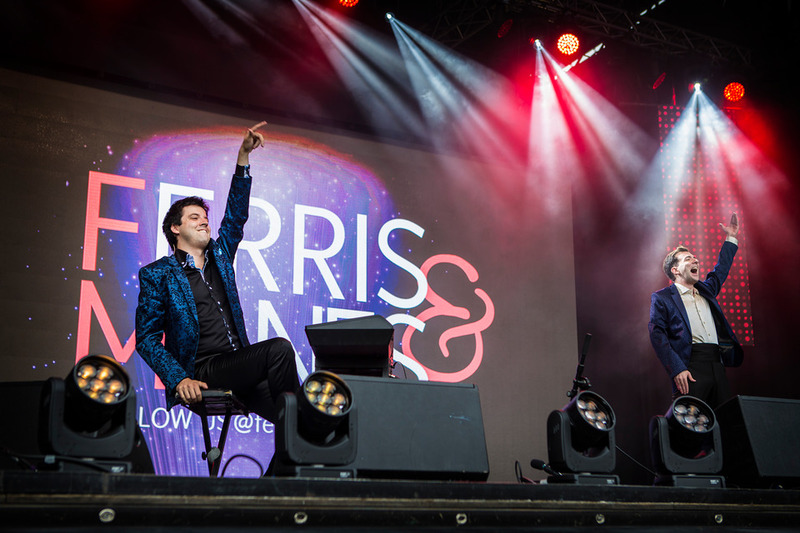 This was the challenge we set ourselves when we returned to West End LIVE in Trafalgar Square. Since we performed their last year, many musicals have sadly closed (Gypsy, Miss Saigon, In The Heights, Sunset Boulevard …) only to be replaced by exciting new ones (An American In Paris, 42nd Street, On The Town, Annie …), and the expert musical theatre audience appeared to be lyric-perfect all the way through, no matter how thick and fast we threw new numbers at them! Click here to watch the official video filmed live! Our thanks to Julian Bird, Emma De Souza, Richie Gibson and all the brilliant team from Society of London Theatre and Westminster City Council who ensure that West End LIVE remains the largest free musical theatre showcase in Britain. Go to our Gallery to view more pictures from this super theatrical event!